We spend our time, energy, and sometimes money making lofty plans for our young students. We have the best intention of imparting a fun and/or meaningful lesson unto them. And then that plan can not move forward. The students are not able to sit, listen, or connect. What can we do to smooth out the school day? What regular activities can we provide to help children recover from distraction and return to attention? Pro Tip: Use rhythm, rhyme, visuals, and predictable patterns to instruct. You Will Need: One Magical Chime. 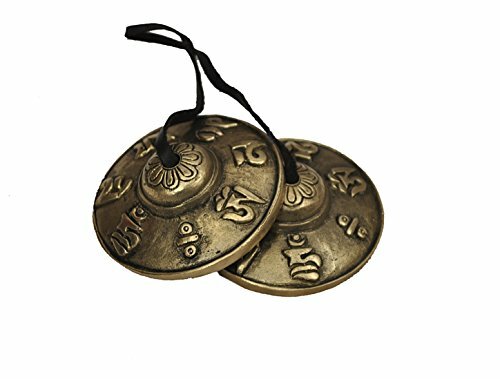 The chime has a magical sound and it immediately draws attention toward you. Use the chime to gather everyone’s attention. Then ask the class to sit up tall, still as a statue, hands in their lap. Gently grasp the chime and pick it up so you hold one side in each hand. Level the metal rounds with the floor and hold it up in front of you so that you can see the chimes, the students can see your face, and they students can see the chimes. Very gently tap the two metal sides together, creating a quiet resonance. Breathe gently and allow your students to observe you taking in the magical sound. Feel free to repeat, giving further behavioral expectations as you see fit. Once the attention is on you, using a calm quiet tone, model the appropriate tone of voice and body mannerisms you want to see in your class. Setting these expectations, of course offering options when necessary, helps children know how to meet your expectations. When you notice children doing so, thank them. Your gentle, specific praise, using their names and a reason why you are praising them, helps them learn and grow. Common Pitfall: Too many kids, not enough space. Depending on your carpet and classroom size, you may have your children in a circle, semi circle, or a number of other configurations. Find one that allows every child to have space for their body and the ability to see you. They can succeed when they have reasonable room to wiggle and move. We should not expect complete stillness from children between the ages of 2-6 and we make it very difficult for them to succeed when they have no space! You will likely need lots of practice figuring out who to place next to whom. When students aren’t too close to their best, most distracting friends, they can focus more easily. When we make attention possible by considering space and interpersonal dynamics, we can be one step closer to a class flowing in the direction we planned. I repeat this rhythm between each fragment of my circle time. I can offer a yoga pose or movement or mantra, or any combination, as needed to keep things moving. As distraction presents, I sew this rhythm as a thread to draw awareness back to center, and keep moving forward with my plan. If you have ambitious goals in circle time, make it last! The more you incorporate movement into your circle time, the better off the children will be, and the longer you can keep their attention. 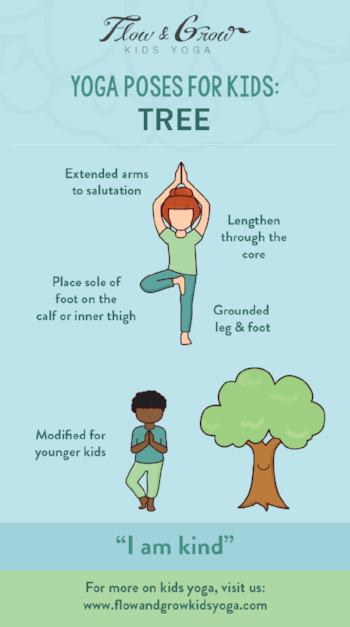 Let’s not have movement for movement’s sake, but add movements that can help the children feel strong, balanced, relaxed or safe.